LOS ANGELES – Metrolink passengers will experience delays on the Antelope Valley line this weekend — and the following three weekends — due to track-maintenance work. On Sunday, and again on Oct. 15 and 29, train 260 will run from Via Princessa to Union Station. Buses will carry passengers to the Lancaster, Palmdale, Vincent Grade/Acton and Via Princessa stations. On Oct. 22, train 260 will be available north of Vincent Grade/Acton and south of Via Princessa. Buses will transport passengers between those two stations on that day. 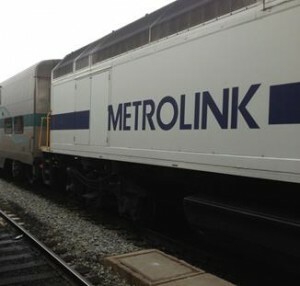 Metrolink officials said passengers should anticipate possible delays of up to 30 minutes, although buses will depart stations at the train schedule times. Meanwhile, beginning Monday, Oct. 9, Metrolink will institute schedule changes on the Ventura County and Orange County lines. On the Ventura County line, trains 115, 119, 121, 123 and 104 will have changes of up to seven minutes. On the Orange County line, train 609 will have changes of up to five minutes.